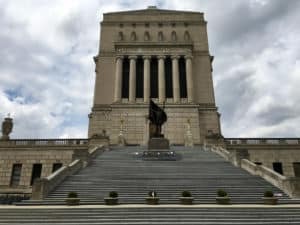 If you’re a history buff living in the Indianapolis area or even just visiting, there are several historic sites around town that you’ll want to consider visiting. Let’s discuss some of these great sites and why you won’t want to miss out on touring them. The Hook’s Drug Store Museum, located on the Indiana State Fairgrounds, is home to a large collection of medical artifacts, including Victorian medicines and medical devices. The museum was designed to recreate the look and feel of an operating 19th-century Indiana drugstore, complete with advertising, products, and fixtures, including beautiful 1850’s pharmacy cabinets. During your visit to the museum, you’ll want to stop by the Victorian Soda Fountain for an old-fashioned ice cream soda, mixed by hand of course. The museum also offers a unique collection of old-styled candies, toys, and gifts available for purchase. Hook’s Drug Store Museum is open daily during the Indiana State Fair and on select weekends throughout the year. You can also arrange a visit by appointment. The Benjamin Harrison Presidential Site commemorates the life and times of the 23rd President of the United States. The site’s museum was built by Benjamin Harrison in 1874 and served as his home until 1901. The museum now houses a collection of 10,000 artifacts from Harrison’s life and times, including many of Harrison’s paintings, furniture, and political memorabilia. In addition to the permanent collection, the Harrison home also hosts special exhibits and events. Visitors to the site can also stroll the restored historic gardens featuring small trees, shrubs, and perennials, as well as lilacs cultivated in the late 1800s. During your visit, you’ll want to stop by the gift shop where a wide range of patriotic and holiday gifts are available for purchase. The Benjamin Harrison Presidential Site is open year-round, with the exception of major holidays. Fountain Square, located a mile and a half from downtown Indianapolis, is home to several historic buildings, some dating back to 1871. One highlight of the square is the Fountain Square Theatre, built in 1928. During its heyday, the theatre hosted premier vaudeville acts and motion pictures. It was also home to a bowling alley and billiard hall until 1957. Restoration on the theatre building began in 1993 and it now serves as a venue for concerts, dances, weddings, and other events. The bowling alley has also been restored and features authentic equipment from the 1950s and 1960s. The 30,000-square-foot Indiana War Memorial Museum, located in the Historic District, is home to several military artifacts including the USS Indianapolis (CA-35) Gallery, firearms and uniforms, and an AH-1 Cobra Attack Helicopter. The museum’s Shrine Room pays tribute to those who served in World War I. The museum is open from Wednesday to Sunday, with the exception of major holidays. These are just some of the great historical sites in the Indianapolis area. Consider planning a trip so you can see them for yourself!